Welcome to Legacy Mountain, a wilderness escape like no other! We have many beautiful cabins to accommodate groups of all sizes. Tucked in the woods near the Smoky Mountains, our Legacy Mountain cabins offer spectacular forest views as far as the eye can see. Our cabin community also boasts a large clubhouse that is great for meeting up with your friends and family in other cabins before you go out on an adventure. The clubhouse also has luxurious amenities such as a full workout facility including a variety of machines as well as steam room to sweat out all that unneeded stress in your life. When you're ready to venture outside of the cabin Legacy Mountain doesn't disappoint. Smoky Mountains National Park has many entrances all in a proximity to our cabins. This includes the most popular area in the Park, Cades Cove. Cades Cove is known for its breathtaking wildlife and is one of the countries premiere spots to observe the great outdoors and all its beauty. A good meal is also never far away in Mountain Legacy, whether your stopping by Shakes N Dawgs for a great burger and milkshake or you class things up a bit and enjoy a nice steak and seafood dinner at Chop House. 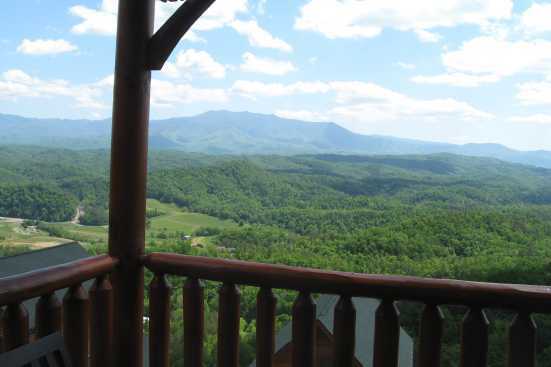 SMBYO.com is your one-stop shopping for all your Smoky Mountain vacation needs. Book now and enjoy the vacation of a lifetime!